Lauren Gray (born 3 November 1991) is a Scottish curler. She was born in Glasgow and grew up in the village of Balfron where she attended Balfron Primary and then Balfron High School. She took up the sport at the age of eight. She competed for the British team at the 2014 Winter Olympics in Sochi. 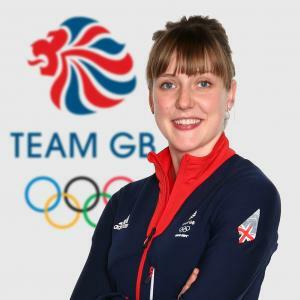 She had previously been part of the British rinks which won gold medals at the 2009 European Youth Olympic Winter Festival and the 2011 Winter Universiade, as well as the Scotland rinks which won the World Junior Curling Championships in 2012 and the World Curling Championships in 2013. Following the 2014 Olympics, Gray was part of the commentary team for Channel 4’s coverage of the wheelchair curling tournament at the 2014 Winter Paralympics. In May 2016, Gray became lead for Eve Muirhead’s team, having previously been alternate for Muirhead’s rink in their World Championship-winning campaign in 2013 and the Olympic tournament in 2014.